Note the pun. A classic pun. A pun never used before especially in fishing. The Wyoming Cutt Slam program is pretty neat. You can learn more about it here. 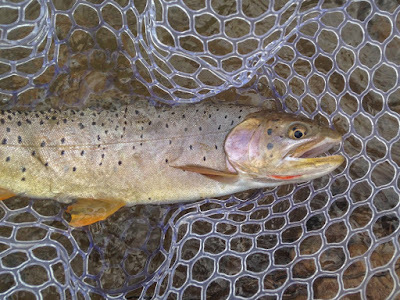 Basically, it is a program to get people to learn about the native cutthroat in Wyoming and explore waters that they normally wouldn't in pursuit of these fish. From my experience the program accomplished both of these goals. I moved to Wyoming about 5 months ago and have had a pretty good time fishing, birding, and generally looking at pretty landscapes. Pretty much immediately, my roommate and I joked about tackling the cutt slam and, more importantly, where we would hang our illustrious certificates once they were earned, but then we decided to actually give it a go. Why not, we would fish places neither of us had fished before and catch a few species we had never seen. What is the downside to that? You are correct, there is no downside. We both had a headstart with the Snake River being our local water and would just be pursuing the other 3. Our first trip would be for the two that we thought would be most difficult. The Bonneville (or bear river) and the Colorado River strains. We headed south and found the waterways we were looking for. Bonneville's were the first stop and in two casts I was into my first. I lost it. Luckily about 2 casts later I stuck one and landed it. We had come to the right place. Shortly after that my roommate landed his. 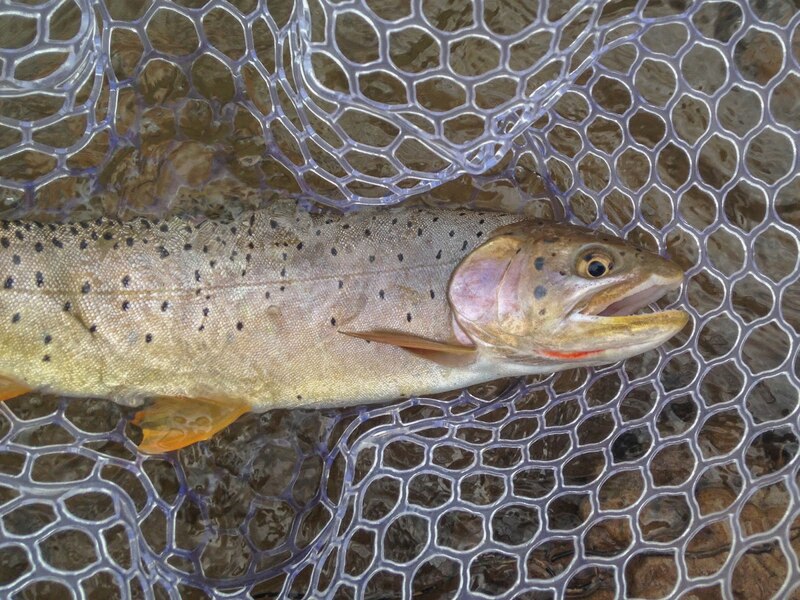 Stop #2 was for the Colorado River Cutts. Again we found our water with little trouble. This time the water was super small, and I shifted flies accordingly. The flies and mosquitos were horrible here and we hadn't seen a sign of fish. I was ready to pack it up and live to fish another day. My roommate then threw on a big size 8 dry and immediately hooked a fish. Low and behold it was the fish we were after. I took his rig, and a couple casts later was hooked into a monster of my own. 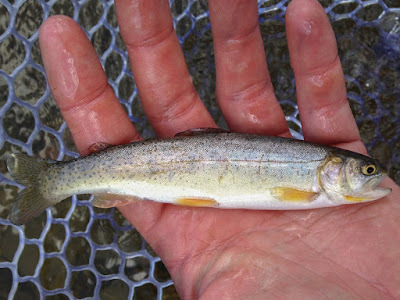 A mighty cutthroat and we were 3/4 of the way there. 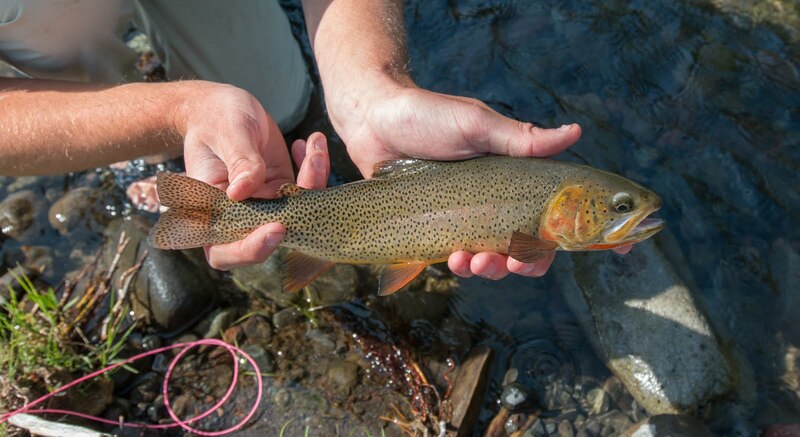 The last fish on the list would be the Yellowstone variety, and you would think that it would be pretty easy and stress free, since we live pretty close to that watershed, but this one took the longest. Between busy weekend schedules, wildfires, and really really really wanting to avoid Yellowstone proper during tourist season we were not that motivated to finish the slam. One weekend we sucked it up and headed in to the park. We fished beautiful water with tons of other people and properly got skunked. We vowed to never return to Yellowstone until it got much quieter and much colder. That was a few weeks ago. 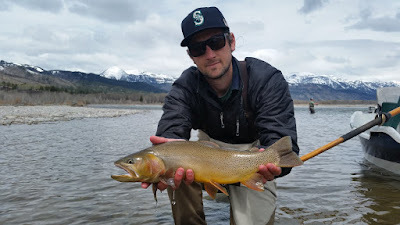 Recently We went to a much smaller and much lesser known creek and ended up catching a whole bunch of Yellowstone cutts and saw one other person in 6 hours. It was a much more pleasant experience. Now where to hang my certificate? Hear hear! Well done, Big Dog. Got your island plans yet? Dem salmun is runnin'. Congrats James! I was fishing in rocky mountain national park many years ago and was catching these incredibly green looking cuts. I believe they are called a greenback cutthroat trout. Still one of the prettiest specimens i've landed to date. Now to add a Million Dollar Cowboy Bar Eastern European bombshell to your list!!! !